One of the projects that Juliana wanted to tackle was the mantle. 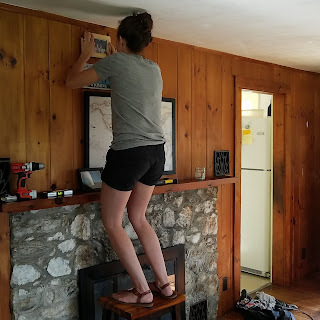 Prior to anything, we removed it and washed the wood. We laid out the pictures to help visualize the layout of the gallery way before banging holes into the wall. 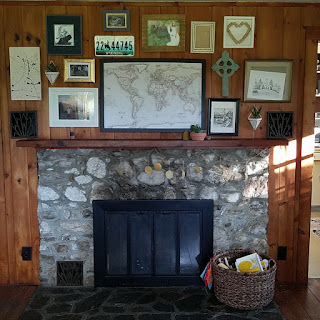 In addition to the photographs, Juliana mixed in some original artwork, a cross she was given enough, and some little brass planters. 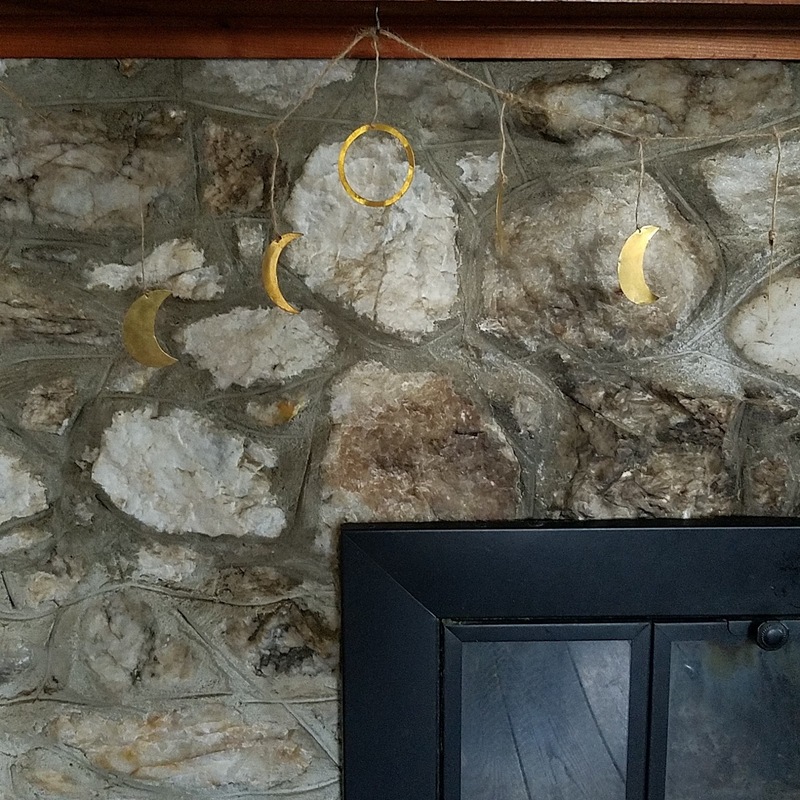 She also hung up a garland featuring phases of the moon made from brass. 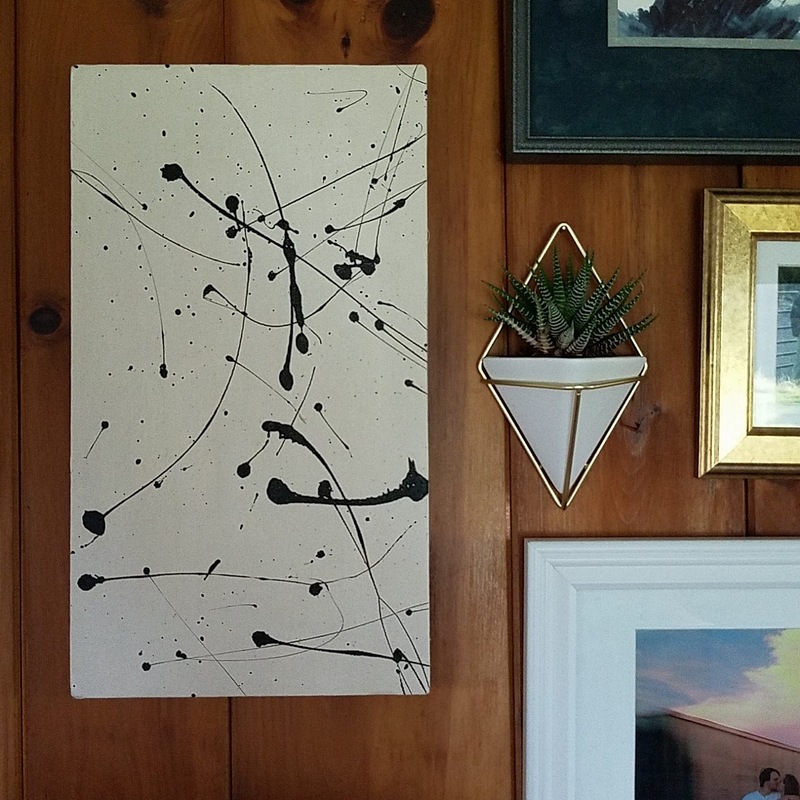 Thanks for a good post. I am sure you will also be interested in how to spy on spouse.